With a background in maths (Ecole Normale Supérieure), Michèle Sebag went to industry (Thalès) where she started to learn about computer science, project management, and artificial intelligence. She created an AI consulting start-up, and was then offered the opportunity to start research on machine learning for applications in numerical engineering at the Solid State Mechanics Laboratory at Ecole Polytechnique. After her PhD at the crossroad of machine learning (LRI, Université Paris-Sud Orsay), data analysis (Ceremade, Université Paris-10 Dauphine) and numerical engineering (LMS, Ecole Polytechnique), she entered CNRS as research fellow (CR1) in 1991. 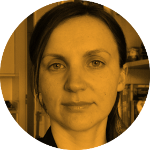 In 2001, she took the lead of the Inference and ML group, now ML & Optimization, at LRI, Université Paris-Sud. In 2003 she founded together with Marc Schoenauer the TAO (ML & Optimization) INRIA project. Today, she works in particular on causal modeling, which she wants to use to reduce the biases of machine learning. Introducing causality into algorithms would, in particular, make the results of machine learning more explicable. She was elected at the Académie Française des Technologies; ephemeral nominated member of the Conseil National du Numérique ; member of TransAlgo and finally head of the DataIA Research programme. Marc Schoenauer is a graduate of the Ecole Normale Supérieure in Paris. Currently, he holds the position of research director (DR1) and is co-head of the TAO team, with Michèle Sebag, at the INRIA Saclay research center since September 2003. He works in the field of evolutionary computation and machine learning since early 1990, is the author of more than 150 articles published in journals and recognized conferences in these fields, and was co-director of 33 PhD students. In addition, Marc Schoenauer is President of ACM-SIGEVO (Special Interest Group for Evolutionary Computation). He was founding president of Artificial Evolution, and chairs AFIA, the French Association for Artificial Intelligence. He has edited the Evolutionary Computing Journal and is the Associate Editor of several journals - IEEE Transactions on Evolutionary Computation, TCS-C, Theory of Natural Computing, Genetic Programming and Evolvable Machines, and Applied Soft Computing. Thomas Schiex is a graduate of the École Centrale de Paris and now a computer scientist who shares his time between extending AI core technology and developing computational biology tools. On the AI side, he is interested in pushing the limits of automated reasoning and proving using logic and constraint satisfaction to solve hard (and usually serious) puzzles. These algorithms equip the award winning solver toulbar2 developed in Toulouse and have also been used for propositional logic optimization. Following his recruitment as a CR2 at INRA (Institut National de la Recherche Agronomique) in 1994, he started to exploit this AI technology in biology, genetics and genomics. Today, he is still extending this amazing puzzle breaking technology to design new molecules for nanotechnologies, biofuels and medicine. Thomas was elected as a Fellow of the European Association for Artificial Intelligence in 2016. He is an Associate Editor for the Artificial Intelligence Journal and for the Journal of Artificial Intelligence Research. 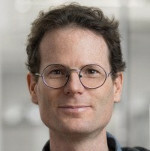 For a decade, he has also been a member of the Executive Committee of the Association for Constraint Programming and an associate editor for the Constraints journal. Dr. Pierre-Yves Oudeyer is Research Director (DR1) at Inria and head of the Inria and Ensta-ParisTech FLOWERS team (France). Before, he has been a permanent researcher in Sony Computer Science Laboratory for 8 years (1999-2007). 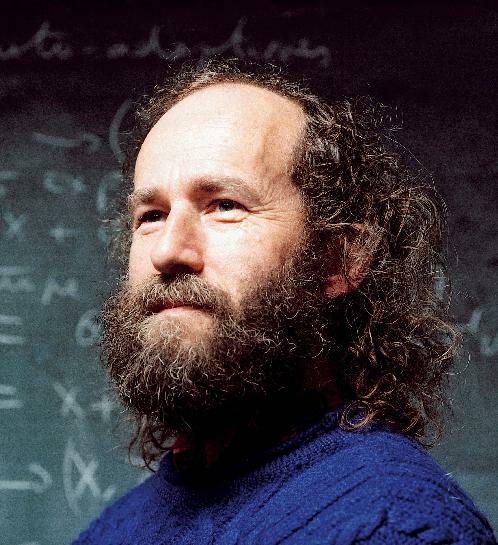 He studied theoretical computer science at Ecole Normale Supérieure in Lyon, and received his Ph.D. degree in artificial intelligence from the University Paris VI, France. After working on computational models of language evolution, he is now working on developmental and social robotics, focusing on sensorimotor development, language acquisition and life-long learning in robots. Strongly inspired by infant development, the mechanisms he studies include artificial curiosity, intrinsic motivation, the role of morphology in learning motor control, human-robot interfaces, joint attention and joint intentional understanding, and imitation learning. He has published a book, more than 80 papers in international journals and conferences, holds 8 patents, gave several invited keynote lectures in international conferences, and received several prizes for his work in developmental robotics and on the origins of language. 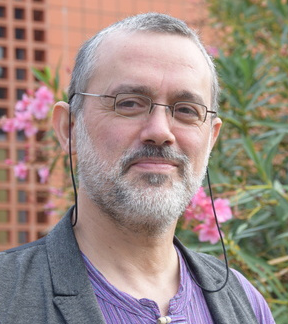 E. Dupoux is full professor at the Ecole des Hautes Etudes en Sciences Sociales (EHESS), and directs the Cognitive Machine Learning team at the Ecole Normale Supérieure (ENS) in Paris and INRIA (www.syntheticlearner.com). 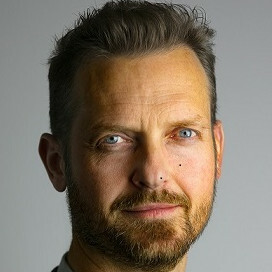 His education includes a PhD in Cognitive Science (EHESS), a MA in Computer Science (Orsay University) and a BA in Applied Mathematics (Pierre & Marie Curie University, ENS). His research mixes developmental science, cognitive neuroscience, and machine learning, with a focus on the reverse engineering of infant language and cognitive development using unsupervised or weakly supervised learning. He is the recipient of an Advanced ERC grant, the organizer of the Zero Ressource Speech Challenge (2015, 2017), the Intuitive Physics Benchmark (2017) and led in 2017 a Jelinek Summer Workshop at CMU on multimodal speech learning. He has authored 150 articles in various peer reviewed outlets. Matthijs Douze is a research scientist at the Facebook AI Research (FAIR) lab in Paris since November 2015. He is working on large-scale indexing (see the Faiss library), machine learning with graphs and similarity search on images and videos. He obtained a master’s degree from ENSEEIHT-INP engineering school and defended his PhD at INP-ENSEEHT and IRIT in 2004. In 2005-2015 he joined the LEAR team at INRIA Grenoble where he worked on a variety of topics, including image indexing, large-scale vector indexing, event recognition in videos and similar video search. 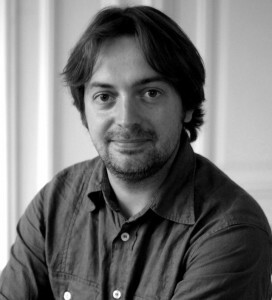 Remi Munos is a research scientist at DeepMind and senior researcher at INRIA. He is now leading the new DeepMind Paris office. Remi completed his PhD in Cognitive Science under the supervision of Paul Bourgine at ÉHÉSS in 1997. In 1998, he did a postdoc at CMU under the supervision of Andrew Moore before taking up the role of Professor at École Polytechnique in 2000. 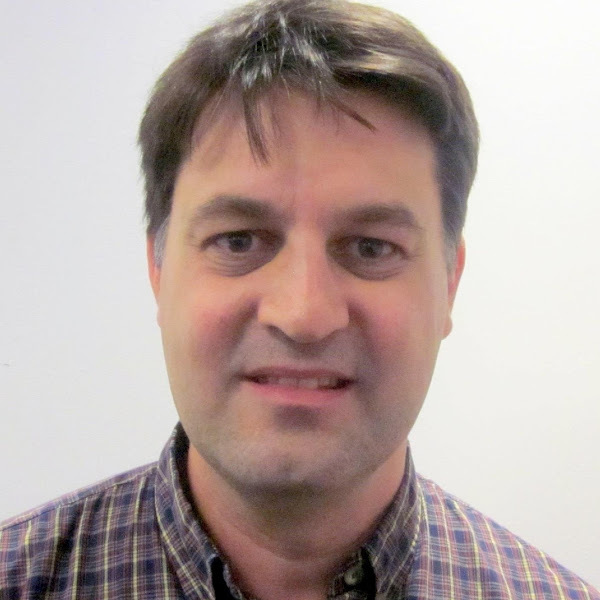 In 2006, Remi joined INRIA, co-creating and co-leading the SequeL (Sequential Learning) team with Philippe Preux, a post he has continues to hold today. In 2013, Remi did a one-year sabbatical at Microsoft Research, before joining DeepMind in 2014. Before joining DeepMind, he worked on mainly theoretical aspects of reinforcement learning (RL), optimal control, bandit theory, statistical learning, online optimisation, and planning. Since he joined DeepMind he also worked on combining RL with deep learning representations. Viorica completed her PhD in Computer Science at ENSEEIHT–INP and IRIT in Toulouse, France where she focused on image processing. She continued her research during her post-doc at INRIA Ecole Polytechnique France, where she worked on image and 3D shape analysis. She then joined the Computer Vision and Machine Learning Department of Engineering at University of Cambridge, where she started her work in machine learning (unsupervised learning from videos; semantic segmentation). Currently, she is a research scientist in Google DeepMind and she is interested in semi/self-supervised learning for scene understanding from videos, and biologically-inspired system design. Sander Dieleman is a research scientist at Google DeepMind and a PhD student in the Reservoir Lab at Ghent University in Belgium. The main focus of his PhD research is applying deep learning and feature learning techniques to music information retrieval (MIR) problems, such as audio-based music classification, automatic tagging and music recommendation. Experienced Principal Solutions Architect with a demonstrated history of working in the supercomputer hardware industry. Skilled in AI/Deep Learning, HPC Application Tuning (CUDA, OpenACC, MPI, OpenMP), and Computer Science. Strong engineering professional with a Master's degree focused in Computer Science from Institut national des Sciences appliquées de Lyon..
20 years of international experience in varied emerging IT domains, the most recent one being in HPC, BigData and Artificial Intelligence/Deep Learning, under positions from Technical Consultant, Solution Architect to Product Marketing Manager and Business Development Manager. He successfully managed different European projects, programs, product portfolios and solutions evangelization, always in close collaboration with Sales and Presales force.